China booked their place in the final of the Men’s Event at the ITTF 2015 World Team Cup after success against Chinese Taipei. In the ultimate stage they will meet Austria. Austria seeded at position no. seven, upset the favorites and European Champions. China booked their place in the final of the Men’s Event at the ITTF 2015 World Team Cup after success against Chinese Taipei. In the ultimate stage they will meet Austria. Austria seeded at position no. seven, upset the favorites and European Champions. Team that won title in Lisbon few months ago, suffered straight matches defeat against Austria. Marcos FREITAS, Tiago APOLONIA and Joao MONTEIRO failed to produce the game that will stop Robert GARDOS, Stefan FEGERL and Daniel HABESOHN. 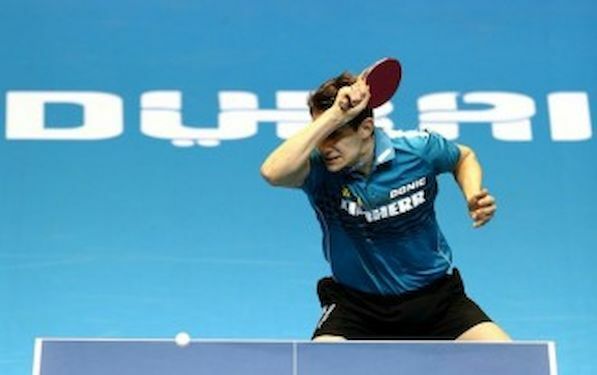 It was the history repeated, since GARDOS and HABESOHN with experienced CHEN Weixing beat Portugal on their home soil in September in Group stages of the European Championships. Tonight GARDOS gave Austria good start with the victory over APOLONIA, whilst FREITAS suffered by the hands of HABESOHN. China will play against DPR Korea in the final of the Women’s Event as well. Reigning champions overcame Singapore, whilst Korea beat Japan. It is the eighth time in nine editions of the tournament that China has reached the final of the Women’s event at the World Team Cup. ZHU Yuling gave China the perfect start in their semi-final contest against Singapore. She beat FENG Tianwei to set China en route to a three-nil success. DING Ning overcame Isabelle Siyun LI, before joining forces with LIU Shiwen to secure a doubles success in opposition to FENG Tianwei and YU Mengyu. At the Asian Games in Incheon in late September 2014, at the semi-final stage of the Women’s Team event, China beat DPR Korea by three matches to nil.